If you want to know what’s happening in the world of blooks (blogs that become books), Cheryl Hagedorn’s Blooking Central is your first stop. She has provided insightful analysis and entertaining background on almost 200 blooks. Cheryl is a former Salvation Army officer, computer programmer, and writing instructor for the Chicago Department of Aging and the Park Ridge Senior Center. She has an MA in Writing from DePaul University and is a member of the Emily Dickinson International Society and the Illinois Philological Association. Cheryl is the author of Park Ridge: A Senior Center Murdermystery as well as the online novel Gold Medal Murder. In this interview with Future Perfect Publishing, she shared her thoughts about the emergence of the blook as a new publishing path for authors. FPP: What first got you interested in blooks? Cheryl: The first mention of a blog being made into a book that I remember seeing was on The Chicago Writers Association forum. Dorien Grey reported that his A World Ago blog had attracted the attention of Zumaya Publications and had been scheduled for publication in September, 2008. I began researching the phenomena and was overwhelmed and incredibly intrigued by what I found. FPP: In your experience, what are the elements that are generally required to make a potential blook? Quality of the writing– many blook authors began as freelancers or columnists such as Lori Smith (A Walk with Jane Austen) and Tracey Henry (Suburban Diva). High-level connections – Melinda Roberts (Mommy Confidential) is a member of John Battelle’s Federated Media Parenting and Entertainment Network. She is also an online community advisor to ClubMom, Johnson & Johnson, The Disney Internet Group, and MothersClick.com, where she is also a resident blogger. Judith O’Reilly (Wife in the North), a former London Times writer got a deal after blogging only six weeks because she got linked to by “big” names. Lots of traffic – David St. Lawrence (Danger Quicksand) gave away 50,000 free books. Okay, he self-published. Mim Smartypants had 3,000 regular readers. The Japanese fellow who wrote The Train Manhad a million readers. But it’s also the number of comments that indicate how engaged the readers are. Eunny Jang announced her book deal and got 173 comments! FPP: Early on it seemed that in many cases the blog to book path was not planned. Are authors getting more intentional about going from blog to print now? Cheryl: Absolutely. This years’ Blogher convention had a special session on how bloggers have used their Internet writing to publish books. Michael Shumate (Success in the Arts – see picture at right) admitted that he had posted with every intention of building an audience for the book. So did Noreen Braman (I’m 50 – Now What?). Both of those were self-published, but then you have Cheeseburger Brown’s Simon of Space. He posted in the hopes of attracting a deal and got one. You still have authors who back into book deals, though. For instance, Dawn Meehan’s only interest was in selling a baseball on eBay but the short story she wrote to hype it pulled in 220,000 readers. FPP: What do you think is the best strategy for an author to approach an agent or publisher about a blook deal? FPP: Are publishers actively searching the blogosphere for new authors, or is it still a matter of authors who blog seeking out agents and publishers? Cheryl: Agents like Kate Lee, Elisabeth Weed, and Patrick Walsh, as well as the Waxman Literary Agency, for sure are actively looking for blookable blogs. The Friday Project specializes in publishing web content. Publishers don’t appear to be offering as much money, but they’re definitely looking for bloggers who can and do write for specific audiences. FPP: Can you estimate about how many blog to book deals are being done each year? Cheryl: How would you begin to make an estimate?! The Lulu Blooker Prize competition had 89 entries the first year, 110 the second. How many of those were traditionally published? I’ve looked at 190 blooks, only half of which came from the competition lists and maybe 1/3 of those have had book deals. FPP: Do you see more fiction or non-fiction blooks being published these days? Why do you think that is the case? Cheryl: One thing that has really surprised me is the number of non-fiction, memoir-type blogs that have been rendered as fiction, especially a book like Queen of Sky by Ellen Simonetti (see picture at right). I guess it’s an attempt not to be sued. Then there’s those authors that have mentioned the need to supply a story-line for the book version of their blogs, like Jeremy Blachman (Anonymous Lawyer) and the lady police officer, PC Bloggs (Diary of an On-Call Girl). I don’t know whether more non-fiction blooks are being published than fiction, but I think that blooks probably reflect books in that regard. FPP: What categories of blooks seem to be the hottest right now? Cheryl: I honestly have no idea. You might be able to track it by pulling all the Publishers Marketplace deals that refer to blogs, like Gawker did, then sorting them into fiction and non-fiction. But that leaves out a huge number of blooks that are being self-published. You simply can’t discount them – consider the success of Tom Evslin’s Hackoff.com (see picture at right). FPP: Could you tell us briefly about the blog to book software that is available currently? Cheryl: There are several programs which are blog-specific. For instance, LJ Book only works with LiveJournal, DeadJournal or InsaneJournal blogs. Blog2Print from SharedBook only accepts Blogger blogs as input. Pyxlin, I think, will let you import other formats but is primarily for pyxlin users. Let’s see, there’s also Blurb’s Slurper, LAB Asprise’s BlogCollector, Prince, QOOP’s BlogPrinting, and PrintMyBlog. 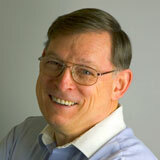 Most authors follow Warren Meyer’s (Coyote Blog) lead – they reverse the order of blog posts, then cut and paste. Geeks like Gina Trapani can use things like DEVONthink Pro. FPP: What trends do you see in blooks in the next few years? Cheryl: Self-publishing is just now coming into its own. I think we’ll see more blog owners going that route, particularly with annual and semi-annual collections of posts like Vitualis’ Medical Rants. Best of Blogs-type blooks showed up too soon and it’s over. On the other hand, anthologies like Age of Conversation, which could have been a blook and wasn’t, or the Open Laboratory: The Best Writing on Science Blogs 2006which is currently gathering material for the 2007/2008 blook, are gathering momentum. I’d be remiss if I didn’t mention that dead tree versions, which is how I define a blook at Blooking Central, are being accompanied by other versions, such as PDFs or podcasts, as well as being enhanced like BluBook or Carbondale After Blog. This entry was posted in blog to book, blogs & writers, Interviews, readership strategies and tagged blook, Cheryl Hagedorn, interview. Bookmark the permalink. Thanks for the mention! When I started my blook, my intention was to post excerpts and help build an audience for the book (rather than many writers who simply write a wonderful blog and find book opportunities coming their way). Mine was sort of in reverse. It was at times a strange experience for me, and felt very vulnerable — I’ve never had people read things before they were in a final edited version. But at the same time it allowed me to connect with an audience, which was incredibly encouraging. I think the blog was a part (if perhaps a small part) of selling the book to a publisher. I think in this publishing environment, an author has to prove that you’re willing to work, and blogging is almost a given. It’s wonderful that there are so many means in the author’s power of building an audience without spending money. My book (A Walk with Jane Austen) comes out next week. Thank you for featuring my interview with Lori. She is doing everything right in publicizing her excellent book. I noticed that she has created a Squidoo page, and another page on Amazon.com as well. Very smart marketing. It also helps that her book is such a rewarding read.